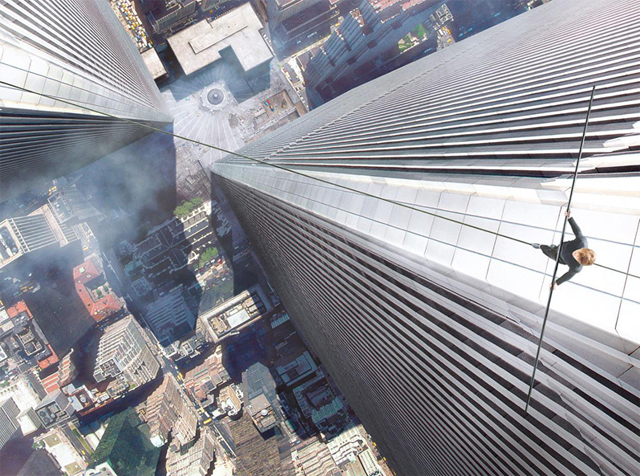 Sony has just released the new trailer for The Walk, the latest film from Oscar-winning director Robert Zemeckis (Back to the Future, Forrest Gump), which tells the story of Philippe Petit (Joseph Gordon-Levitt) and his astounding August 7, 1974 high-wire walk between the two World Trade Center towers. Check it out below! Sony’s TriStar Pictures will release The Walk in IMAX 3D on October 2, 2015, and it’s just been announced that Zemeckis’ film will be the Opening Night selection of the upcoming 53rd Annual New York Film Festival. Zemeckis’ previous film Flight, starring Denzel Washington, also played at the festival in 2012.